This afternoon, the Senate Economics Legislation Committee (“the Committee”) tabled their report into the Tax Laws Amendment (Research and Development) Bill 2013 (“the Bill”). As it stands, the Bill proposes that companies with an aggregated assessable income of $20 billion or more are to be denied access the R&D Tax Incentives. The Bill is expected to save approximately $1 billion annually and apply to income years commencing on or after 1 July 2013. 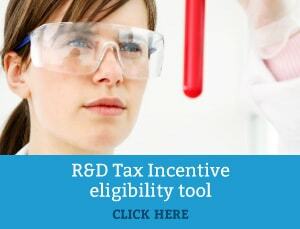 The R&D tax incentive is over budget and that savings from the measure could allow resources to be reallocated within the Department of Industry portfolio. OECD studies in Québec, the Netherlands and Norway suggest that smaller firms appear to be more responsive to the R&D Tax Incentive than Larger Firms. OECD studies concluded that government incentives were a secondary consideration for large firms when determining where to locate their R&D activities. Additional OECD evidence suggested that existing R&D contacts and relationships, the country’s knowledge base, the availability of researchers and access to markets have a greater impact on where R&D is conducted. Although the Committee supported the Bill, it recommended further consideration to the definition of ‘aggregated assessable income’ particularly in respect of life insurance companies and petroleum retailers. Interestingly, the Committee did not recommend a revision of the definition of ‘aggregated assessable income’ to consider a foreign company’s worldwide income, an issue widely challenged during the consultation process. The Committee considered that the Bill would allow funding to be targeted towards companies which are more responsive to the tax offset and who are more likely to increase their R&D spending as a result of the incentive, which represents a better use of taxpayer money. the view that the Government has not provided a credible rationale for the proposed cuts to the R&D tax incentive and its lack of any other plan to use these savings to support innovation. Even without the support of Labor, the Bill is expected to pass before June 30 this year. Athough there is certain to be disappointment amongst stakeholders, it is expected that the upcoming review of the R&D tax incentive will provide a new opportunity for consultation on other issues relating to R&D tax incentive such as specific incentives for SMEs and further exploration of the ‘patent box’ concept.